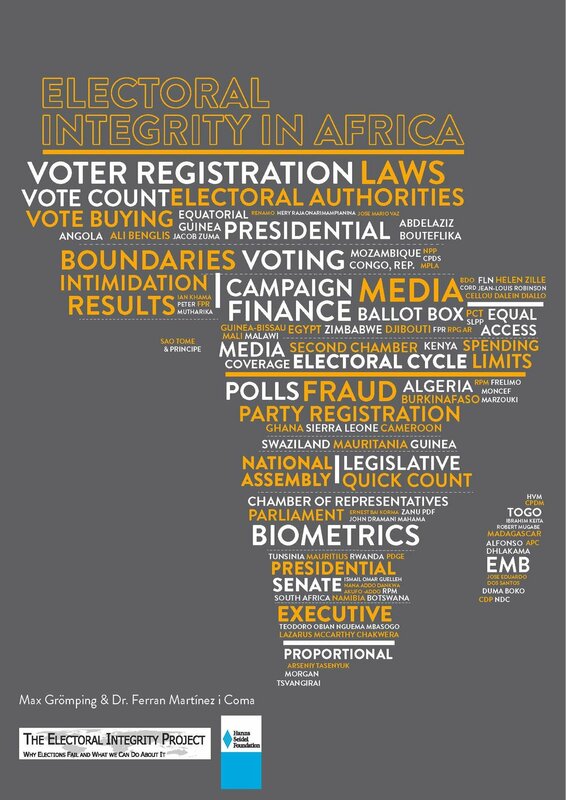 Providing an in-depth analysis of recent elections in 28 African countries, this EIP report presents findings of the study of electoral integrity in a wide range of states and types of regimes. A continent of great diversity, African elections are under-studied in comparison with Europe or America. The Hanns Seidel Foundation, a German non-profit organization promoting democracy, good governance and the rule of law across the African continent, commissioned the report. This was launched in Cape Town on 22 June 2015 by EIP’s Ferran Martínez i Coma and Judge Johann Kriegler, former Constitutional Court Judge of the South African Constitutional Court. The Foundation has welcomed the report, and the PEI index on which the findings are based. Noting that “it is currently the best rating tool available“, the Foundation recognizes this is the first attempt to measure electoral integrity across the African continent, and hopes it will stimulate the debate on the integrity of elections across Africa. During 2015, there were elections in Zambia, Nigeria, Togo, Benin, Burundi and Burkina Faso, among others. The integrity of these contests is crucial to meet human rights, and also for the internal stability of the country, and citizens’ satisfaction with their regimes. The purposes of this report are twofold. First, to present the African results of the Perceptions of Electoral Integrity expert surveys, and then to analyze important elements at play in shaping the integrity of African elections. Much attention has been placed on polling day and the immediate aftermath, but many other elements of the electoral cycle are key to the integrity of the elections. Threats to electoral integrity are more severe in Africa than in the rest of the world. The types of problems in Africa, however, are similar to those found elsewhere; put simply, there is no African electoral exceptionalism. The elections can fail long before election day, so attention should be paid to the electoral dynamics and institutional quality over the entire election cycle not just election day. Difficulties in regulating campaign finance extend across the continent. By contrast, the vote count is consistently the highest rated part of the election cycle. Finally, two country case studies –Malawi and Mozambique –highlight how countries with similar levels of economic development can still differ sharply in levels of electoral integrity.